Fall is my favorite time of year. 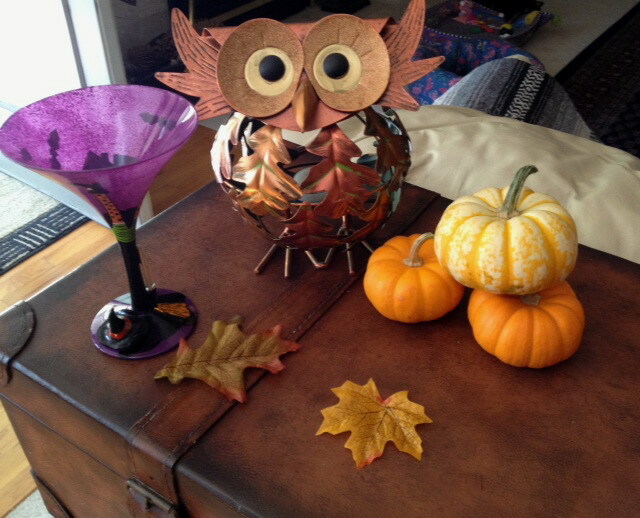 My martinis gain a bit more magic when drunk out of my witchy glass and my house is turned into all things Halloween. The same goes for my knitting and crafts. 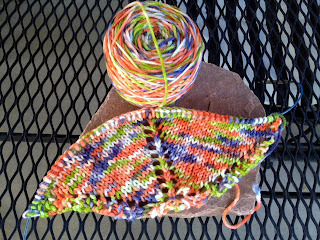 Every Fall there is a new magical shawl or scarf on the needles. Perhaps this is the year that I will actually complete one! Last year I made cross stitched raven that I framed and hung for the holidays. 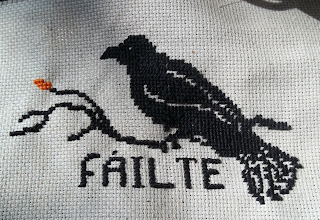 I was so taken with it, I started a new one for this year. While not quite done,working on it will provide me with some entertainment as I watch my Halloween shows from my vast collection. New for this year, is the yarn I hand dyed that is being made into a scarf or shawl. I plan on knitting until the yarn runs out, so the result will be a surprise to me. 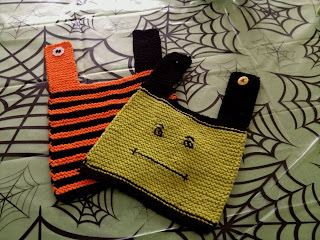 I named it "Halloween Candy"
I knit two spooky bibs for a friend who's baby is due in late October using the tried and true bib pattern from "Mason-Dixon Knitting" and Sugar and Cream yarn. 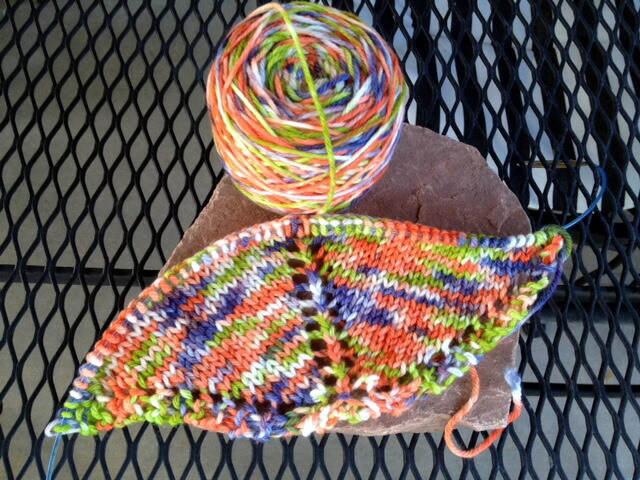 I have started and re-started the Batty shawl from Anti Craft several times. Though the pattern is pretty easy, it seems to require that I sit without distractions in order to properly read the chart! I'm thinking this would be a good project to work on in a plane where escape is not possible.Note to self for next month. Cheers!